The NSE said on Wednesday that the final approval of the Central Bank of Nigeria and the Securities and Exchange Commission had been made on the proposed merger of Diamond Bank with Access Bank. The two banks received the court sanction on the merger on Tuesday, making it the official date of the merger. In a statement on Wednesday in Lagos, the NSE said that the full suspension of trading in shares of Diamond Bank was on the back of the court sanction of the merger scheme that was received by the banks. 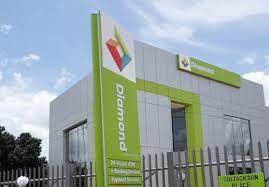 “Trading in the shares of Diamond Bank has been placed on full suspension on the Nigerian Stock Exchange with effect from March 20, 2019. “The suspension is required to prevent trading in the shares of the bank in order to determine the bank’s shareholders, who will qualify to receive the scheme consideration as the bank obtained the court sanction of the scheme on March 19, 2019, being the effective date of the scheme,” the statement said. It added that the bank’s shareholders passed a resolution approving the merger with Access Bank in line with the court order.